BAL Floor Epoxy is a three-part hygenic impervious epoxy resin tile grout for floors. 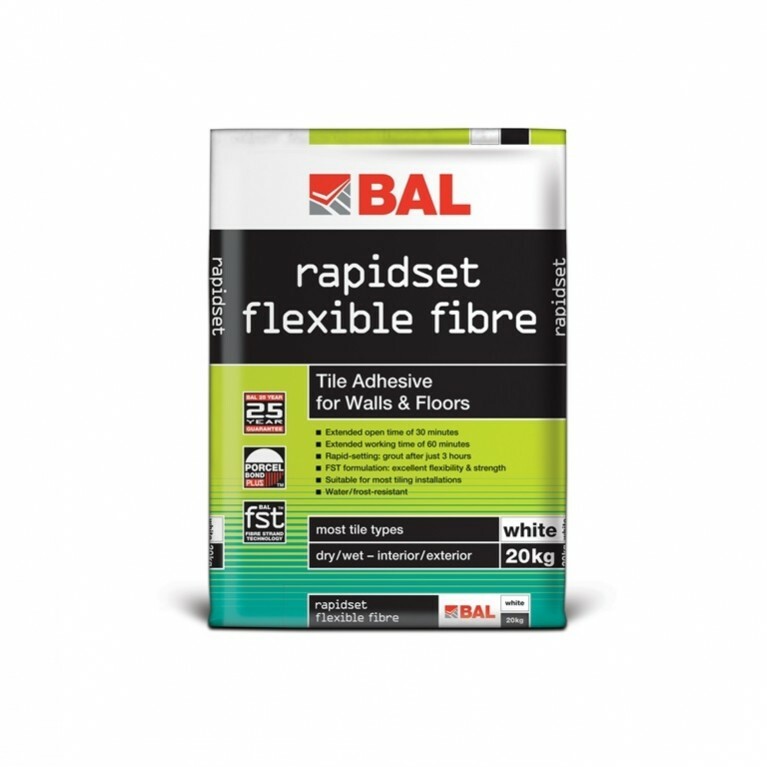 For joint widths up to 20mm, BAL Floor Epoxy is recommended for large installations including food preparation/processing plants, swimming pools/sports and leisure centres, shopping malls/supermarkets, hospitals and industrial/chemical plants. 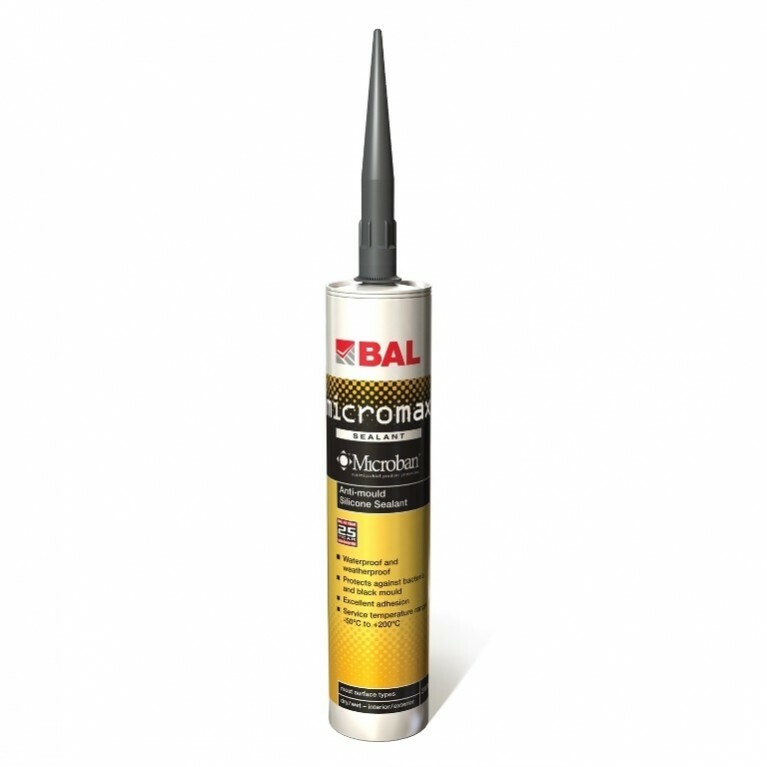 It is also suitable as a tile adhesive for chemical plants with metallic backgrounds, and for areas requiring chemical resistance. 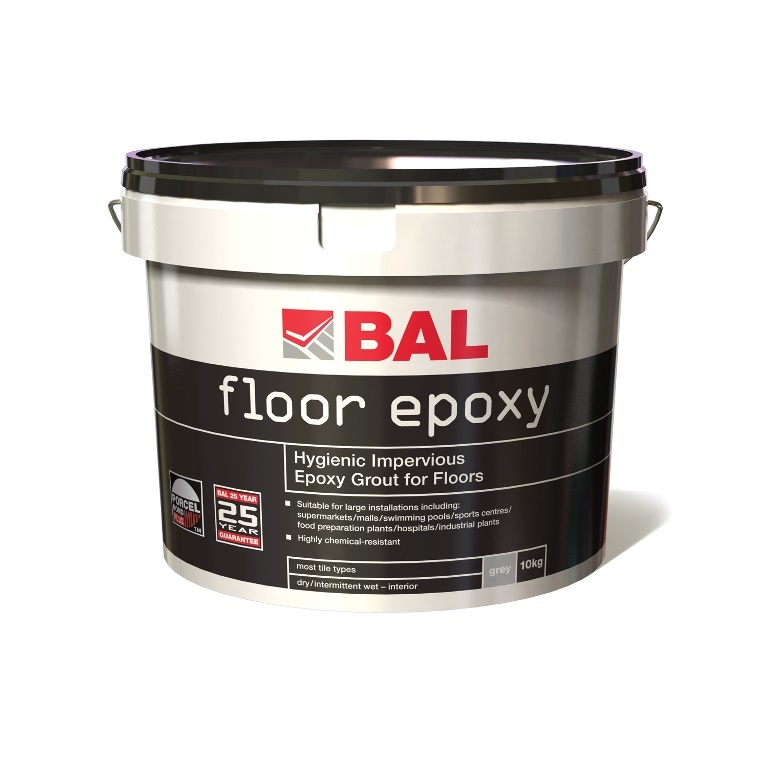 With a resin-based formulation comprising liquid resin, liquid hardener and powder filler, BAL Floor Epoxy offers numerous benefits for the fixer working on large-scale commercial projects. 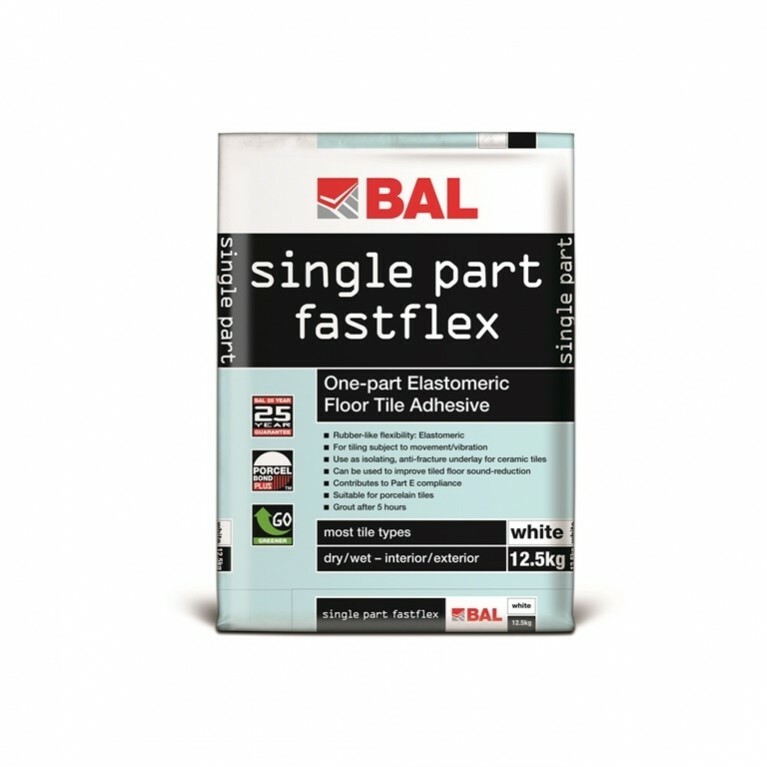 Suitable for most tile types, Floor Epoxy cures in 24 hours and has a pot life of 60 minutes. In addition BAL Floor Epoxy is hard-wearing and offers high resistance to abrasion and impact, as well as providing protection against bacteria and chemical attack. 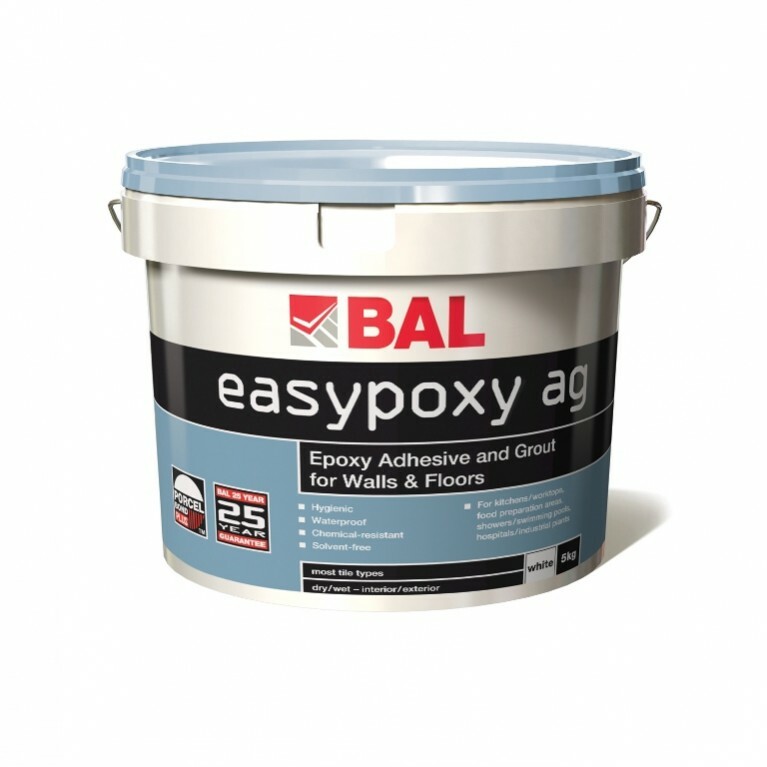 Available in Smoke and Ebony, BAL Floor Epoxy comes in 10kg packs. Bespoke colours available – minimum order quantities apply. COLOUR: Smoke, Ebony. Bespoke colours available (MOQs apply).